The Sanchi disaster is even worse than many initially expected, according to a chilling new report published by Britain's National Oceanography Centre that shows the ship's cargo - the equivalent of nearly 1 million barrels of ultra-light crude, plus its own fuel - snaking across the East China Sea into the northern Pacific. The Panama-registered vessel burst into flames after colliding with a cargo ship off the east coast of China while on its way to South Korea. The disaster, which took place in the East China Sea, is the worst oil spill since Exxon Valdez. The Sanchi tanker and a cargo ship collided 260km (160 miles) off Shanghai on Jan. 6. 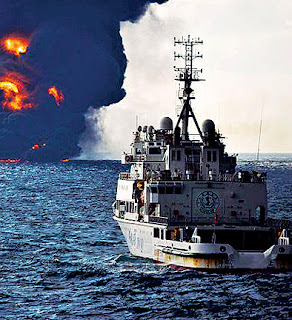 Afterward, the tanker - which burned for a week before exploding and sinking - then drifted south-east towards Japan. At the time, the Iranian press reported that all 32 crew members - 30 Iranians and two Bangladeshis - died in the accident. The tanker was carrying 136,000 tonnes of ultra-light crude. 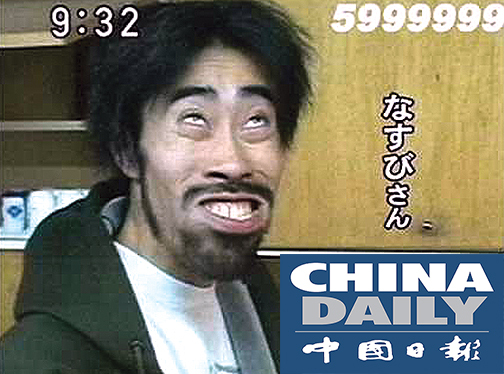 The always-credible Chinese media claimed that no oil slick had formed. "No worry! No oirr srrrick here!" 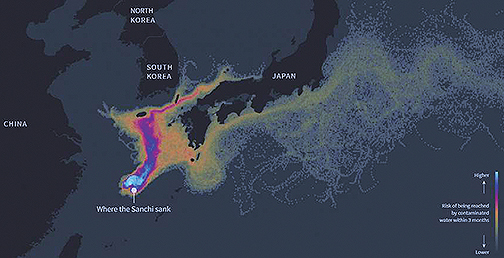 "An updated emergency ocean model simulation shows that waters polluted by the sinking Sanchi oil tanker could reach Japan within a month," the center said a report posted on Jan. 16. "The revised simulations suggest that pollution from the spill may be distributed much further and faster than previously thought, and that larger areas of the coast may be impacted." According to Reuters, which examined the data, first, the toxic ultra-light crude would probably dissolve, forming a poisonous plume under the sea surface. However, it remains unclear how long condensate would stay in the water, with South Korean officials believing it would most likely evaporate. However, the heavy fuel used to power the ship could wind up washing ashore. By day 25, some of the light crude could reach smaller islands off souther Japan. The Kuroshino Current runs directly though this part of the Pacific, which is rich with marine life, including numerous coral reefs that could suffer irreparable damage because of the spill. By day 40, the particles spread north toward South Korea and Kyushu island. Some could reach further along Japan's western coast. By day 100, the pollutants will have mostly concentrated in the waters between Japan and South Korea. But some pollutants could drift out along Japan's western coast into the North Pacific. The condensate involved in the Sanchi oil spill is different from the heavy oil involved in most oil spills. It is low density and considerably more explosive than regular crude. Condensate is used to create products like jet fuel, petrol, diesel and heating fuel.